Hank posted a career-high 39 wins and a .930 save percentage. He pitched 8 shutouts on his way to a career-best 1.97 goals against average. The King ranked third in the NHL in victories, tied for third in GAA and shutouts, and tied for fourth in save percentage. 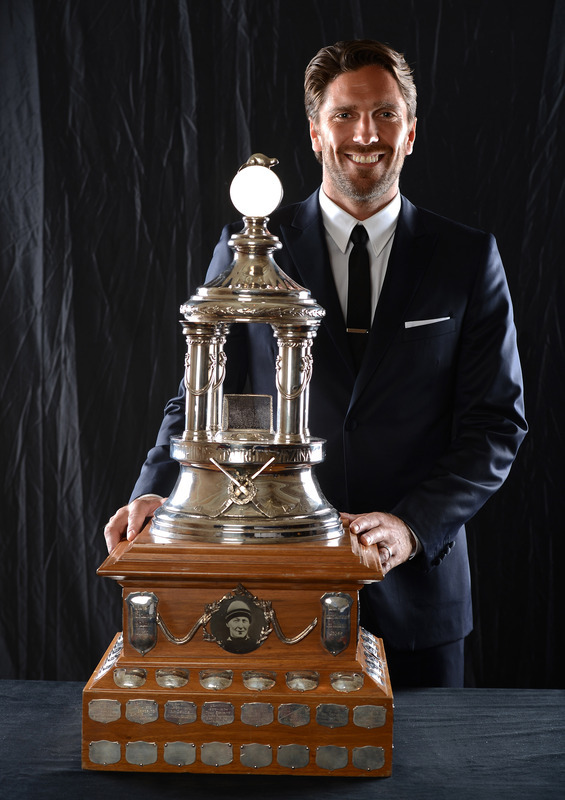 He received 17 of the 30 first-place votes to best the Stanley Cup-winning L.A. Kings netminder Jonathan Quick and the Nashville Predators’ Pekka Rinne. And he’s a great guy off the ice, as well: King Henrik is also active in the community, contributing to the Rangers’ charity efforts to help sick children. And he’s generous to fans with his time, always willing to pose for a photo. He’s a complete player. And now he is Henrik, King of the Goalkeepers! 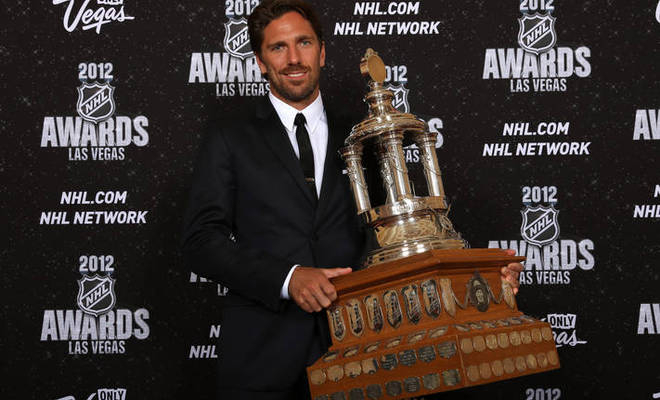 This entry was posted in Awards, NHL, Sports and tagged Henrik Lundqvist, Jonathan Quick, King Henrik, New York Rangers, Pekka Rinne, Vezina Trophy. Bookmark the permalink. Dredd Trailer Lays Down the Law!